We demonstrate that no matter how small an action is, if done over again, it gives you confidence to do more and can lead you to significant lifestyle change that sticks. We worked with BehaviourWorks Australia, a behaviour research enterprise within Monash University (on our new App). They reinforce that our rationale is robust. Our work is based on their behavioural indicators/motivators. Self-efficacy: the belief in your own ability to change behaviour. Collective efficacy: the power of being part of something bigger, of seeing the results of your actions as part of the whole helps make the new behaviour stick. The Spillover effect: what takes you from action to another. And we identify the Rebound behaviour: ie - People reverting to their old behaviours because energy efficiency measures were put in place. We focus on what we can do rather than what we can’t, about solutions as opposed to problems and collective impact versus individual isolation. Our ongoing campaign of ours is a good example of how a quick win can foster long-term behaviour change. 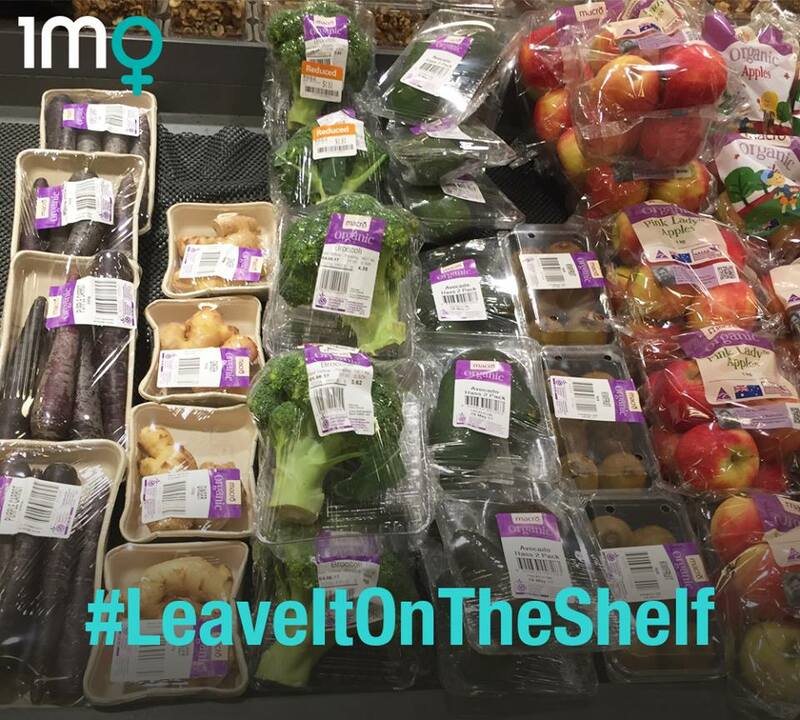 We asked people to make a simple change at the supermarket by leaving pointlessly packaged fruit and veg on the shelf and choosing loose ones instead. It’s an easy action. It makes us feel powerful and it sends a direct message to the store owners that their customers don’t want layers of packaging on their food. The spillover effect is that it makes you more aware about food and avoiding food wasting. We have created a mass movement with genuine global reach and reach millions of women every day. The release of our new App in November 2018 is next stage of our evolution. 80% of our community engage with us on their mobile phones and in a survey more than 80% said they wanted us to develop an App. Smart phones are the most accessible communications technology in the history of humanity and that’s where 1MW needs to be. Free to download It will: 1. Everyday offer a choice of daily ‘climate actions’ and make it easy to track the actions undertaken. 2. Showcase individual and collective impact, locally and globally, through a real time ‘map’ showing where in the world users of our App are undertaking activities today and how much carbon is being saved. Our aim is to demonstrate the ‘power of us’ when we are all take the same daily climate actions and acting at the same time. 3. Show deeper ways to transition to a net zero carbon lifestyle. 4. Connect women with each other through an in-App live conversation feed - sharing our stories, ideas & solutions. 5. Celebrate milestones to keep App users motivated and inspired 6. Capture critical data on behaviour change that we will share with our partnering government agencies, councils, policy makers and researchers. Our new Roadshow– A half hour interactive workshop focusing on lifestyle issues that are affected by climate change – Health, happiness and wellbeing, poverty and saving money and through the lens of climate change we will challenge the stronghold overconsumption has on us and how as consumers we have enormous power to change that. It includes on-line slides, videos and a step guide on how to conduct a workshop. Our goal is to enlist 10,000 ambassadors from around the world to take our roadshow and conduct it with their own families, in their school assemblies, universities, workplaces and communities. Our new Free App will be their main tool encouraging everyone to download it. Foundations and philanthropists support the development of our App. 15 local councils across Australia have invested financially to be our App council partners. 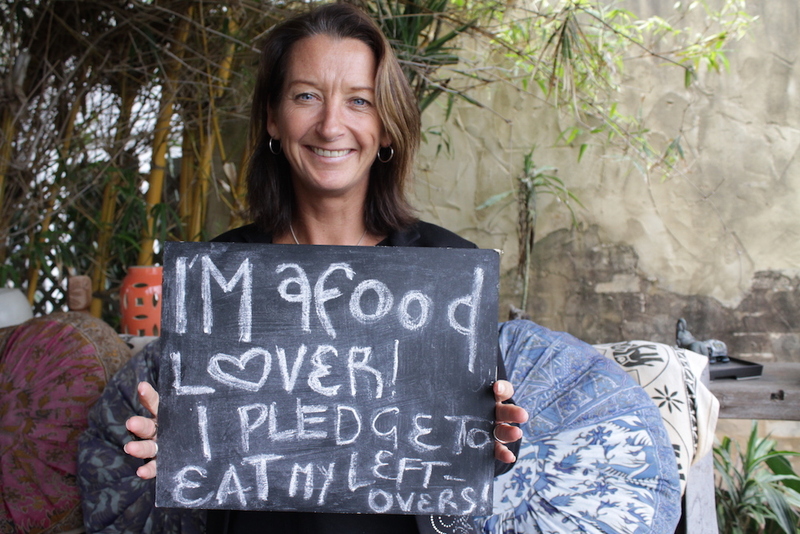 NSW Government through their love food hate waste programs – ie - We help their goal to reducing household food waste by 70%. Ambassadors from all walks of life. Some of the world’s most influential women climate leaders support our 1 Million Women mission. ‘1 Million Women has always been ahead of global agenda when it comes to individual responsibility and action on climate change.’ Mary Robinson, Former President of Ireland, Mary Robinson Foundation Climate Justice ‘The 1 Million Women App offers an opportunity to distill down daily action and turn the energy transition into practical things we must do. It is really pioneering and would join the ranks of a few platforms around the world that try to do similar things.’ Ms Rachel Kyte, Special Representative of the United Nations Secretary-General, CEO, Sustainable Energy for All We have several Corporate partners – Australian Ethical, Bank Australia, Nissan, KPMG,KingWoodMallesons and many womens orgs, schools and Universities. Our New App will gather insights into different audience segments ie - low income earners rural, regional groups etc and capture data such as: 1. Measure carbon savings real time data. 2. 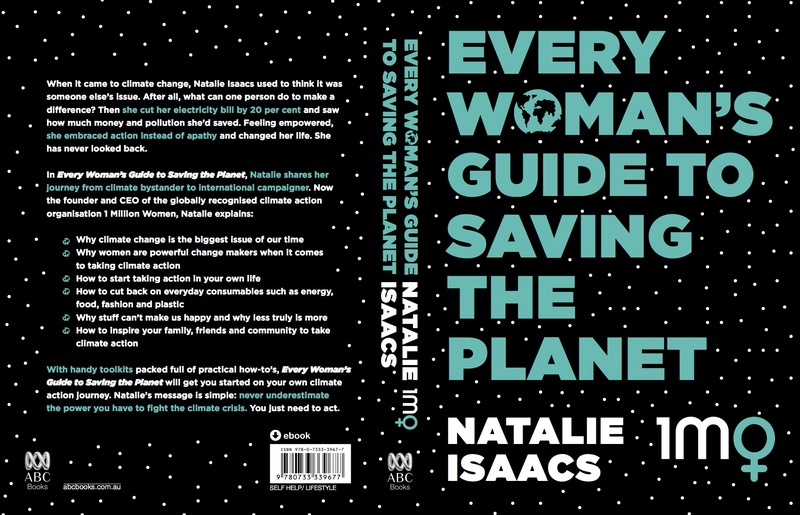 Gather valuable insights into women’s thinking (and blokes too) on lifestyle change and climate action. 3. Track what makes behaviour change stick. What’s trending. 4. Identity what actions lead to other actions (spillover) or the rebound effect and what creates profound behaviour change. 5. Analyse what communities are thinking. Spontaneous App polls and questions will be configured and fed into the news feed of our App users to gain additional insight into their climate change reactions. We’ll drill down to country, state and council level to gain deeper insights. 6. We’ll analyse the impact of various messages for solutions across different audience segments such as low income earners or regional groups to see if there is a trend of what different groups focus on. Our community are our heartbeat and the social impact of what we do is a key measurable outcome in demonstrating our influence. We know our approach connects and inspires women and that this has huge personal reward including increased happiness and wellbeing. This is not theoretical. It is evident through our reach and engagement. This is also multi-layered. Acting in your own life helps you find your voice to put pressure on Governments. It influences your vote and every choice you make and putting pressure on brands not doing the right thing. 1MW helps our community save money through cutting carbon pollution ie cutting your electricity consumption by 20%, reducing food waste, embracing a less is more approach saving $ is a strong co-benefit and in some cases the main driver. Through empowerment and being part of our movement our community emotionally connect on the issue of climate change deep in their hearts. Its key to profound lifestyle change. Its about reconnecting with/loving the Earth. .
1MW is a team of 6 plus interns/volunteers funded through a mix of ways. 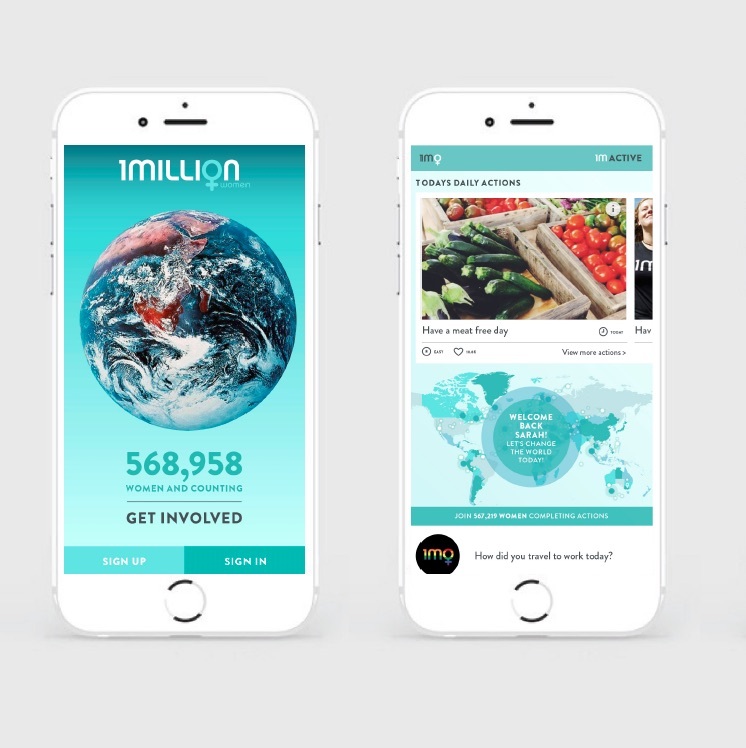 Over a 2 year period we successfully raised A$680,000 for the full development of our ground breaking App from philanthropists and foundations. This money included an in-depth scoping phase, user experience testing and full App development. We have secured 15 Local Government Council partners across Australia for the app. The participation fee gives 1MW a valuable source of sustainable funding and our aim is to continue to expand council participation here and around the world. Our own community fundraising includes raffles, end of year donations and a regular giving program. We get corporate sponsorship annually and some Gov grants. 1MW is a lean operation. The money we raise runs our programs. We have solid financial controls and a deep understanding of the proof needed for the return on investment for our partners. We run at a modest profit every year since inception and our programs are accurately measured and results reports to our stakeholders. Through our new App we will track actions, monitor drop off points etc. We will see which features of the app are most used and how users interact with calls to action to spill over from one action to another so we can continue to improve the App and our ability to motivate our community. This information is essential for our stakeholders as well, to learn deeper levels of lifestyle change and barriers to that. Our new App and Roadshow will give us scale and the ability to rapidly become a truly international movement. It will take what we do and make it more accessible to women and households around the world and give us rich data on behaviour that we can share with researchers and policy makers. Key to our Apps success will be from the acts of learning from our community as we go along. Our App will need continued financial assistance to help us do that. Our App developers anticipate A$70k for this first year of upgrades and enhancements. The first 3 months have already been covered so we are wanting to raise a further approx. A$52k to cover the rest. We will start fundraising next month but if we won this amazing contest the money would go directly to this piece and would be extraordinarily valuable to our work. Our aim is that millions download our App from around the world.